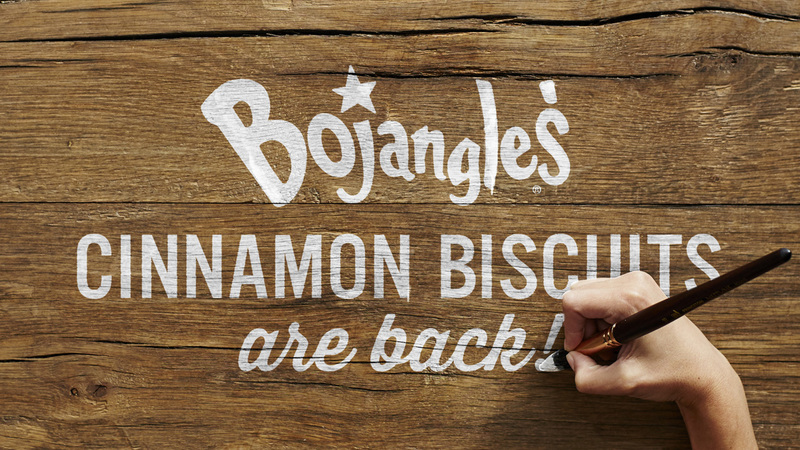 Fans of Bojangles', the iconic restaurant brand, from across the Southeast are celebrating the return of its one-of-a-kind Cinnamon Biscuit. The news is spreading fast by word-of-mouth and via the brand's integrated #CinnamonBiscuitIsBack campaign, which includes a new :30 television spot produced by full-service independent agency BooneOakley and creative production company Wondersmith. The new "Cinnamon Biscuits" spot recently debuted on broadcast and cable outlets in major markets across Alabama, Georgia, the Carolinas, Tennessee and Virginia. 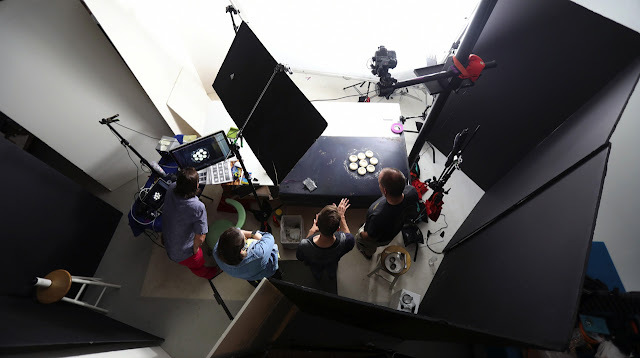 The spot uses stop-motion animation to show Bojangles' Cinnamon Biscuits being hand-made from scratch by one of the Company's Master Biscuit Makers. This first campaign television ad produced through BooneOakley and Wondersmith is likely to continue airing well into the new year, and others showcasing additional popular menu items may debut in the future. "There is nothing in the marketplace quite like the Bojangles' Cinnamon Biscuit and our fan base is constantly reminding us of that, including how much they wanted it available as a permanent menu item," said Bojangles' senior vice president of marketing, Randy Poindexter. "Because of its unique flavor profile, the Cinnamon Biscuit has a huge following. Therefore, it was imperative that our ad campaign announcing its return was just as impactful as the product itself." "At Wondersmith, we love challenges – and our long history of working with BooneOakley and Bojangles' really paid off on this project," began Joe Murray, Wondersmith's founder and executive producer. "On the production side, we focused on building a team of specialists that was able to work cohesively to create beautiful content that exceeds the high expectations of Bojangles' most revered fans." Reflecting input from Poindexter as well as Bojangles' senior vice president of research and development Mike Bearss, the agency's creative director David Oakley, design director Eric Roch von Rochsburg, art directors Laura Beebe and Kara McCoy, senior copywriter Mary Gross, producer Laura George and account director Laura Wallace provided a creative briefing suggesting the stop-motion approach. After presenting numerous past projects where that technique was used successfully, Wondersmith's Murray, creative director Thom Blackburn and senior producer Kimberly Abels focused-in on the production touches that would heighten the campaign's entertainment value and unite each spot within a signature style. Taking all aspects of production and post into account, Wondersmith's workflow began by assembling several key talents. Drawing on the experiences of food stylist Chris Valanne, stop-motion director Mat Amonson, stop-motion animator Dieter Wagner, photographer Iain Bagwell and several others, the results led through a thorough sketch and ideation phase, and then the development of animatics which served as composition guidelines on the set. According to Blackburn, the Dragonframe stop motion software used on countless animated feature films proved to be essential on this project. "Dragonframe allowed us to record detailed passes and architect the trajectory of elements in advance, which really sped up the production process," he explained. "Our animatics, transitions and compositions were loaded into Dragonframe on set and used as a guide through each step. That allowed our clients to watch through live view as each scene was captured, then replayed when complete."